I read the Kite Runner few years back and it affected me deeply. The book made me think about friendship and loyalty. It made me think about abuse and collusion (I was a social worker then) and it made me think about Afghanistan. …as a place not from the news but a place where children grew against the backdrop of terrifying changes. The book haunted me for a long time. So well written and such a very sad story about how our childhood shapes us and can define us. It is also a story about redemption and making peace. I was nervous of seeing it as a play. I haven’t seen the film and thought the intensity of the story and the vivid landscapes could not come alive on the stage. I was also worried I may cry. The music was so stirring and evocative that alone could have made me cry. Amir and Hassan were portrayed very well as children so close and yet a step removed from each other due to their class. The loyalties of one so much deeper than the other . The fun and kindness and jealousies of childhood so well conveyed. Ben Turner (Amir) has a HUGE script that spans age continents and in fact he speaks throughout the entire play. Very impressive indeed. The play is in parts touching, upsetting, heartbreakingly sad but funny and promising too. 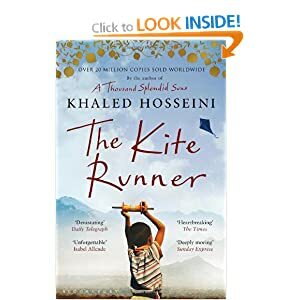 Due to the adult themes and occasional use of strong language in The Kite Runner, there is a set a guideline age of 14+. I received a press pass to this event. It was so moving wasn’t it. I keep reliving it too… bits come back to me at odd times of the day. A great production! It sounds like a brilliant play to watch Becky.I go to the theatre with my mum sometimes, hoping it comes down south.